This option is for a Prospective ACE member or someone that would just like to attend a particular meeting as a Guest. All are welcome! Cultivating Community: How One Mission-Driven Non-Profit is Changing the World—and How Consultants Can Help! Since 2001 Cultivating Community has run programs that use a food justice lens to build leadership, civic engagement, and environmental ethics among teens. It supports garden-based education for elementary and middle school students throughout southern Maine. The organization leads and administers the City of Portland’s community garden network and operates a network of farm-stands plus a mobile market that are active across many of Maine’s population centers, including Portland, South Portland, Lewiston, Auburn, Gorham, and Westbrook. These are all accessible to customers using SNAP and WIC benefits. Cultivating Community offers a Citizen Gardener Workshop Series to create and empower home and community gardeners, and its New American Sustainable Agriculture Project (NASAP) is Maine’s largest land-based farmer training program. Craig Lapine is the founder and executive director of Cultivating Community. Cultivating Community grows sustainable communities by expanding access to healthy, local food; by empowering youth and adults to play diverse roles in restoring a local, sustainable food system; and by modeling, teaching, and advocating for ecological food production. Craig serves as a Parks Commissioner for the City of Portland. 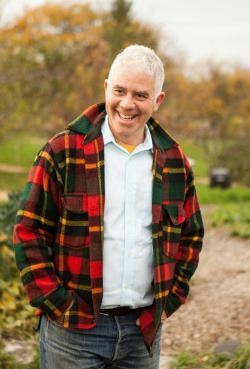 He is a past president of the Maine Organic Farmers and Gardeners Association and co-founded what is now the Portland Food Council. He is on the network team for Food Solutions New England—the UNH-based entity that convenes New England’s annual Food Summit and that published the New England Food Vision. He holds an A.B. in English Literature from Princeton University (1985) and an M.Ed. in Teaching & Learning from the Harvard Graduate School of Education (1998). The Roundtable runs from about 9:45 to 10:30 and is optional. This is usually a skill-building session facilitated by a member(s). And What Would You Like It To Do? Your ACE Membership Committee is dedicated to increasing the group’s membership. In this roundtable, the Committee’s members will review the actions we’ve taken and plan for the future, as well as solicit ideas, suggestions, and feedback from members on how we can best attract new members to ACE. Join us in a conversation about what it means to be an ACE member. Offer your suggestions about membership that will not only benefit the organization, but that could ignite new collaborative arrangements for your own business. Registrations (and registration cancellations) are required by January 15th. If you want to be included on the registration list at the meeting then you need to register by the due date. If you find you can't attend, please notify us by January 15th. After that date, we cannot refund or push forward.